NinjaTrader version 7 is released! You are here: Home / Learnings / NinjaTrader version 7 is released! Searching for a better trading system that comes at free of cost? Ninja Trader announced that it had released its free licensed version NT7. NinjaTrader is a free charting and back-testing tool. It is one of the most advance trading platform currently available, with all the features that any modern platform should have. Besides the various in-built features NinjaTrader through its programming interface (Ninjascript) lets one develop their own indicator and strategies. Ninjascript is built on C# and lets one to exploit the .Net framework at the fullest. NinjaTrader charts are extremely flexible, customizable and user-friendly allowing you to visualize market data in a manner that is right for you. 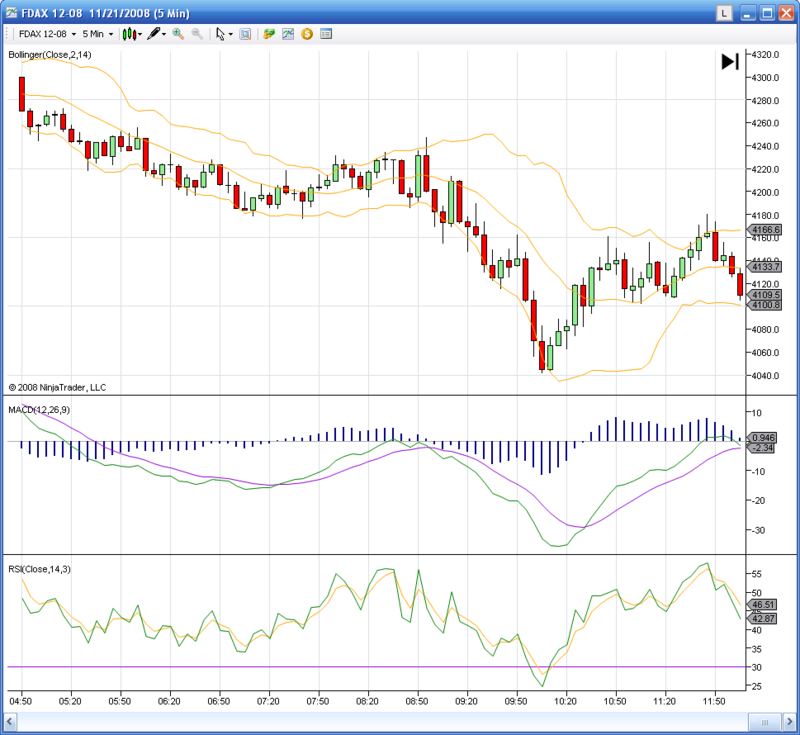 Choose from a variety of different chart styles, intervals, and comprehensive visualization with over 100 Customizable technical indicators included. NinjaTrader 7 application performance is considerably more efficient in terms of memory usage and CPU utilization. As trading volumes continue to increase, the ability of your trading platform to handle this change is critical to your success. NinjaTrader 7 addresses this head on by increasing system performance through lowered CPU utilization, reduced memory footprint, faster processing of real time data and the introduction of native 64-bit support. The end result is a trading platform that is well equipped to handle your trading requirements today and into the future. Ninjatrader have added native support for running NinjaTrader in a 64-bit environment. During installation, NinjaTrader will detect the presence of a 64-bit OS and install both 32-bit and 64-bit application icons on your desktop. NinjaTrader will fully utilize a 64-bit multi-core environment especially in the area of strategy development and optimization. There is a catch in that not all of our broker and market data adapters provide native 64-bit DLL’s thus however, you can still use the 32-bit version. Get free historical and delayed streaming data from www.google.com. We added internal support for fundamental data and even added a NinjaScript® OnFundamentalData() method. Fundamental data is supported in varying levels from our market data vendors. Subscribe to symbol level RSS feeds (Yahoo for MSFT for example) and NinjaTrader’s News window will display any RSS transmitted information to this window. Assign hot keys for global and local window functions including order management. Please click on the link below and enter your current license key to access the download page. You can get your license from your NT6.5 installation by selecting in the Control Center, “Help > License Key” or “Help > About”. If you are not using NinjaTrader yet but want to download NT7, please click on the above link, submit your email address, and you will be able to access the download page. Thank you. Does it support commodities also includign MCX? Pls tell us. Just Great.. Please keep the inputs flowing.. TOTALLY FREE ? I MEAN LIFE TIME FREE VERSION OR WHAT ? Currently there are no free data providers for MCX and for ninjatrader 7 you can check only with Esignal. from where could i get ninja indicators like vwap , tpo and volume profile chart ? whats difference between NT free and NT licensed?